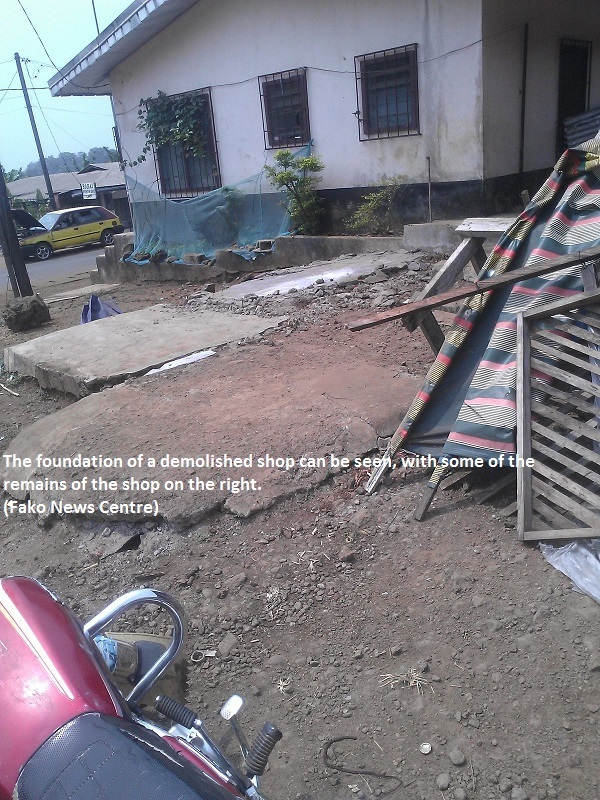 The Limbe City Council has been carrying out a demolishing of plank houses in the city of Limbe. 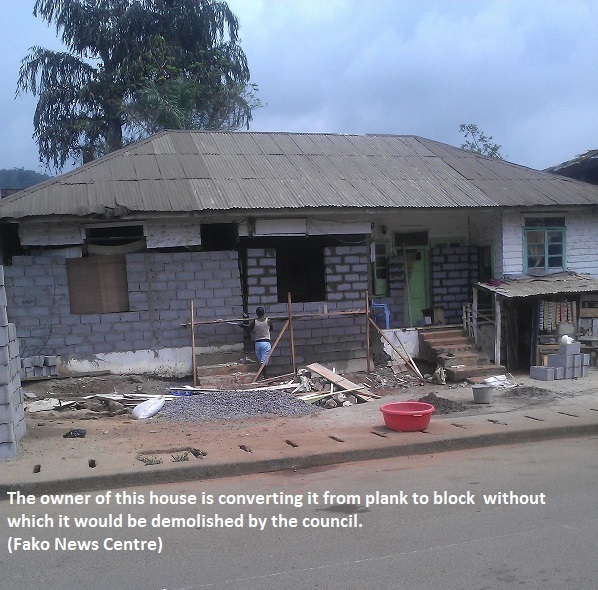 The owners of these plank houses and shops around the roadside had been given a period of 3 years, that is, from 2012 to 2015, to change them to block. One of the reasons why they were given 3 years was because, firstly, it was for town planning of the city, to have beautiful structures in the town that can attract more tourists. Secondly, Cameroon will be hosting the 2016 African Cup of Nations for the female category and thirdly they will also host 2019 African Cup of Nations for the male category. So, those 3 years have elapsed and now those who have not restructured have been given up till 31st of January. They also gave these owners the option of either building a block house after their plank houses have been demolished or sell the land to someone that can carry out building of a block house. Also, some of the stores in the market by the road were demolished to reduce congestion in the market.